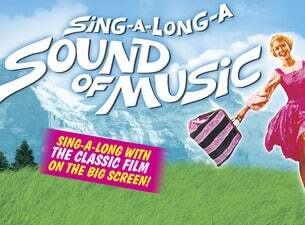 Sing-A-Long-A Sound of Music returns to the State Theatre, Sydney for it’s 17th consecutive year! Never seen the Movie on the BIG SCREEN? Never been to Sing-A-Long-A Sound of Music? Now is your chance to kick both off your bucket list! Much more than a Movie screening, Sing-A-Long-A Sound of Music is a fantastically fun night out that includes a costume parade with prizes, followed by a screening of THE SOUND OF MUSIC with song lyrics so everyone can sing-a-long. Come dressed as your favourite thing from the Movie – take your vows, don a wimple or tear down those drapes and whip up a cozzie! Cheer for Maria! Wave your Edelweiss! Boo the Nazis! Hiss the Baroness! Get together with your favourite friends and BOOK NOW!